The roof repair cost or roof replacement cost may put off some homeowners. However, a good roof isn't a luxury, it's a necessity. There are many serious consequences of living with a sub-par roof, including interior home water damage or even mold. Because your roof keeps you and your entire home safe, you should do everything you can to ensure it's in top shape. But have you wondered just why roofing repairs and roof installation in Alpharetta cost what they do? The prices may seem arbitrary, but they actually come down to several issues. These are the 5 factors that influence what your roofing labor will cost. Roofing repairs should match your existing roof. Therefore, a roofing company will need to invest in materials that are appropriate for your job. While asphalt is an inexpensive material to purchase and install, other roofing materials may be more pricey, including metal, wood, or clay tile. Consistency is key, so unless you want to replace your entire roof, you'll have to accept that different materials cost varying amounts. Certain jobs require local permits, or municipal permission to perform specific types of work. The idea here is to protect the safety of homeowners are requiring that only certified contractors perform specific types of labor. Unfortunately, it costs money to get a permit. The prices vary. While some cities offer flat rates, others base rates on the scope of the project. What kinds of repairs do you need? Simple jobs like re-attaching loose asphalt shingles are inexpensive and quick. The size of your roof and the extensiveness of its repair needs affect the quoted new roof cost or roofing repair cost you receive. What state is the roof in? What type of damage currently exists there? If your roof is covered in water damage or needs a new layer of flashing, your roofer may quote you a high price that suits the serious level of damage. If your roof has chimneys, skylights, or other irregular structures, the roofers will be cored to work around this, which makes the job more difficult. Like trying to paint a wall around windows and light switches, working with obstructions makes work on a surface that much more difficult. Also, flashing and other protective features will exist around these structures, which may need to be worked on or replaced in order to properly seal your roof. 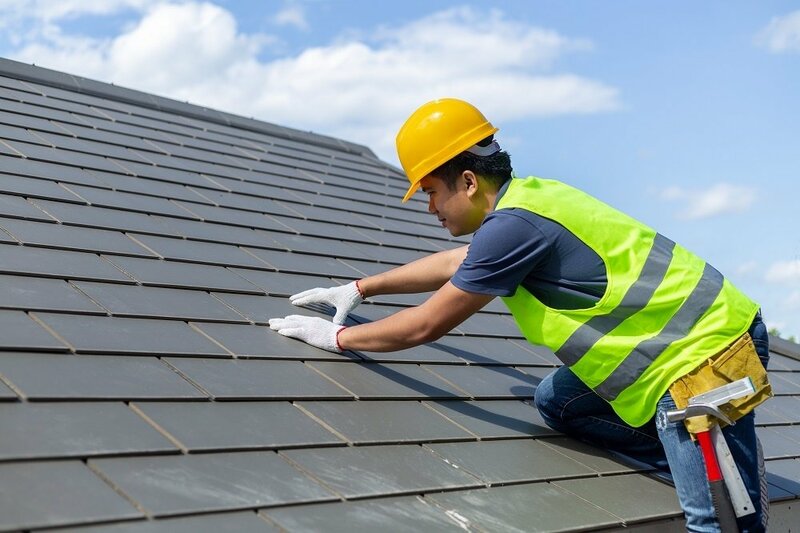 So, if you need roof repairs or roof installation in Alpharetta, keep these 5 factors in mind. This knowledge can help you approach roofing labor as an educated consumer.